A collage of color chips with a gently falling leaf drifting by. 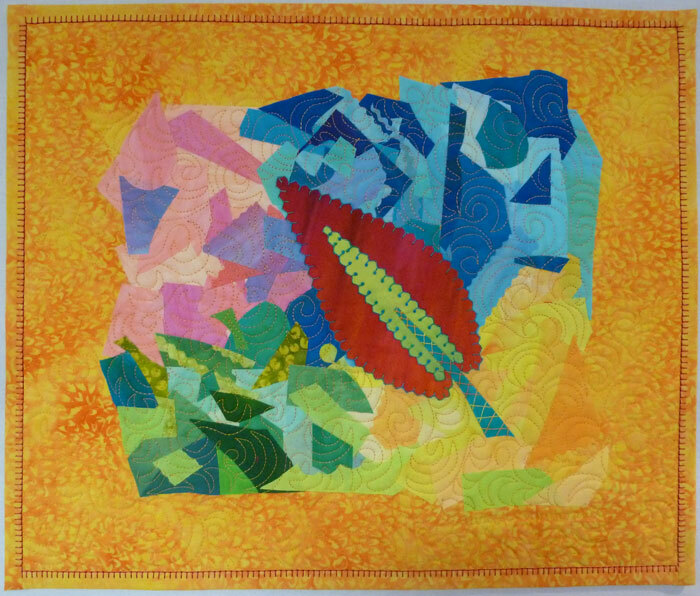 Leaf of Faith #8 is a fused art quilt measuring 16″ w x 14″ h. It is hand embroidered and machine quilted. There is a sleeve on the back for hanging on the wall.